Awesome Friday! 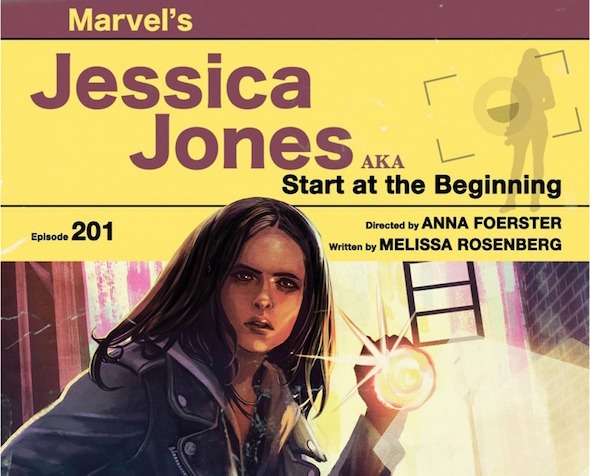 » Blog Archive Jessica Jones Season 2 gets Episode Titles and Awesome Pulp Art Posters - Awesome Friday! Each of the illustrations were made by female artists which is both awesome and a nice companion note to the fact that show runner Melissa Rosenberg put together a great all female team of directors for the season. Fair warning that these might be mildly spoilery. Marvel is pretty good about not dropping bombs ahead of time, or at least not dropping any that aren’t a giant red herring, so I’m pretty sure you can bask in these awesome illustrations relatively worry free. I think that Three Lives and Counting is my favourite one, what do you guys think? Jessica Jones season 2 lands on Netflix this Friday, March 8th.